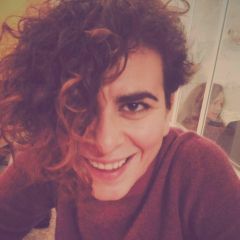 Abir Ghattas is a Lebanese activist, blogger and a digital communication strategist with a focus on women rights, freedom of speech and digital security in the MENA region. Abir holds a BS in Computer Sciences and a Master's in Communication and Media studies. She is somewhere between Marseille and Beirut. Two Lebanese Facebook users found themselves sentenced to prison for posts they wrote on the social networking site.